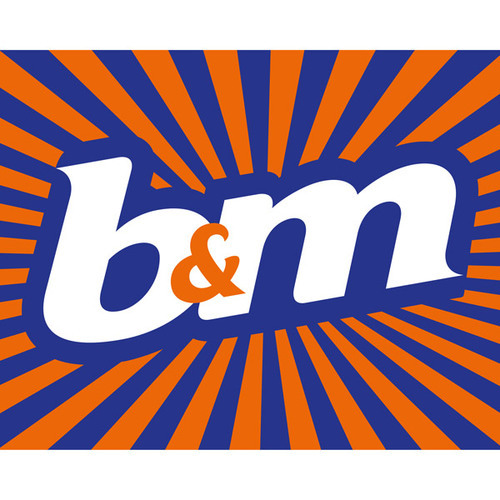 Residents of Grove Park can purchase groceries, beers and wines, baby food and pet food, homeware, DIY equipment and electricals and health and beauty goods all in the same place and for the very best possible price at our B&M store on High Street, saving you both time and money. To find us by car, simply travel northwards from the station on Station Approach, then take the second exit at the roundabout onto Francis Fox Road. You’ll then come to a second roundabout, from which you should take the first exit onto Locking Road. Continue along this road until it becomes Alexandra Parade, and turn right at the fork onto Alfred Street. Keep going until you reach the crossroads with the Boulevard, at which point your should turn left. Continue onto Waterloo Street and then South Parade, passing the Italian Gardens on your left. The road will bear to the right, and you should take the first exit immediately on your right onto West Street. You’ll find us at the end of the road! For those on foot, make your way from the station directly over the first roundabout (second exit) onto Francis Fox Road, then turn left at the next roundabout onto Locking Road. Bear slightly right onto Alexandra Parade, then catch the C2 bus from outside the Weston Super Mare Conservative Club. Alight at the Waterloo Street stop opposite the Italian Gardens, and you’ll find us up High Street on your right.